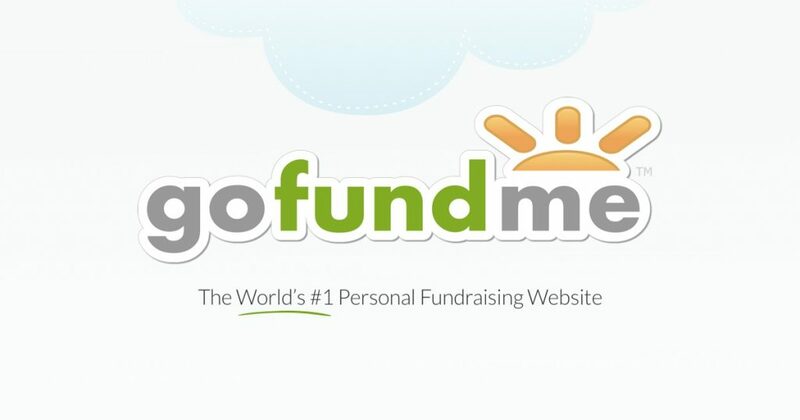 GoFundme, the personal crowdfunding platform, announced earlier this week that it surpassed $3 billion raised. For the unfamiliar, GoFundMe focuses its crowdfunding efforts around charitable causes, which differentiates it from Kickstarter and Indiegogo, both of which don’t allow charitable crowdfunding. $3 billion is impressive by itself but even more incredible when you consider the company surpassed $2 billion raised just five months ago in May 2016. More interestingly, GoFundMe is growing without bringing in more users. The platform currently has around 25 million users, which is the same number of users it reported having back in May. To explain GoFundMe’s monumental growth, we have to look at how its business is evolving. As the platform grows, more charities are flocking to GoFundMe to raise awareness for their causes. Notable GoFundMe campaigns include aiding Hurricane Matthew victims, as well as supporting the victims of the Pulse nightclub terrorist attack in Orlando, Florida, which the company donated $100,000 toward. One of the biggest reasons for GoFundMe’s success is its social media strategy. The charities and causes naturally lend themselves to be shared on social media platforms like Facebook. But it’s not only social media that drives the company’s success. It’s storytelling. People are naturally empathetic, and willing to help in whatever way possible. While Kickstarter and Indiegogo are commerce and product driven platforms, GoFundMe naturally leverages the human instinct to help one another, especially when there’s a compelling story to tell. Take the story of Fedencio Sanchez for example. 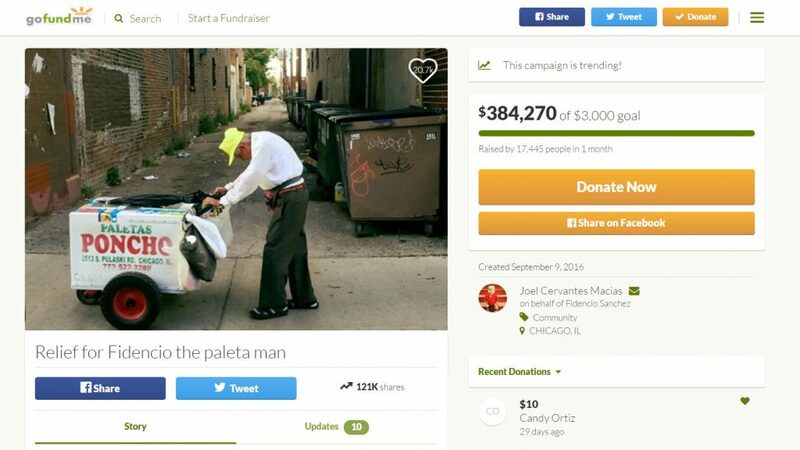 One day by chance, a gentleman saw Sanchez pushing his paleta (popsicle) cart down the street in Chicago. The gentleman, Joel Cervantes Macias, purchased 20 paletas from Sanchez, giving him $50. Macias also snapped a picture and posted it on his Facebook, where it went viral with people wanting to help Sanchez retire. Macias originally set his GoFundMe campaign goal at $3,000, thinking nothing more of it. Then Sanchez’s story went viral on Facebook with over 121,000 shares and the campaign gathered $384,270 in donations from 17,445 people in one month. With success comes the challenge of maintaining that momentum. GoFundMe will have to tackle major issues with its platform which include fraud and ensuring its backers aren’t swindled in case of a campaign gone awry. To its credit, GoFundme announced this month that it would begin offering a limited guarantee that covers up to $1,000 for donors and up to $25,000 for beneficiaries. That’s not much but it’s a start. GoFundMe will have to continue investing in protecting its image as a legitimate place where people’s donations actually go to the people they’re supposed to go to. Without trust, the platform’s momentum will come to a screeching halt. Before you decide to crowdfund your own project, consider the pros and cons.